This is really sweet. 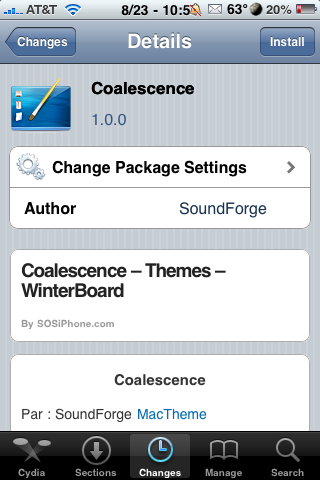 It’s a Winterboard theme that looks like Mac OS X. Check out the video below. It’s not available yet but we’ll keep you up to date on when it’s released. MasterPRO is a WinterBoard theme that contains 188 icons, StstusBar, Wallpaper, Dock, lockscreen battery, dialer, Weather app mod, Calculator app mod and quite a few other mods. You can get MasterPRO via the modmyi source. 3. Search for MasterPRO in Cydia, run the install. 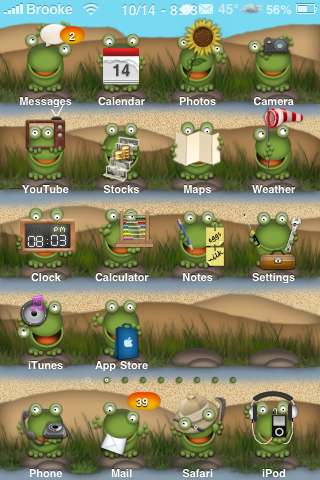 iSquared is a WinterBoard theme that contains 40 icons, a dock, wallpaper and StatusBar. 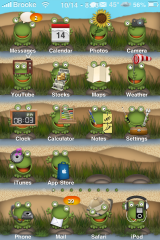 This is technically a beta release of theme. The developer plans on adding more icons. You can get iSquared via the modmyi source. 3. Search for iSquared in Cydia, run the install. 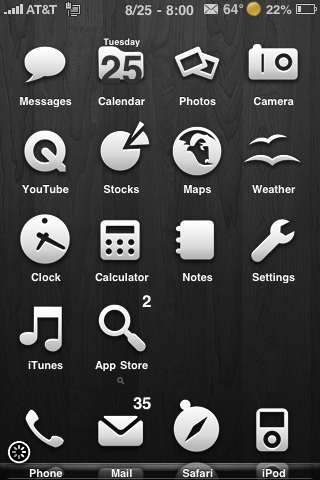 Dark Wood is a WinterBoard theme that contains 93 icons, a dock, wallpaper, statusbar, badges and a few other UI mods. There are a few issues with this theme, it is not packages for the 3.0 firmware so you will need to ssh into the Library/Themes/Dark Wood/Icons folder and change Text.png to Messages.png. Also, there is no Stocks icon so I changed the Charts-Excel.png to Stocks.png. 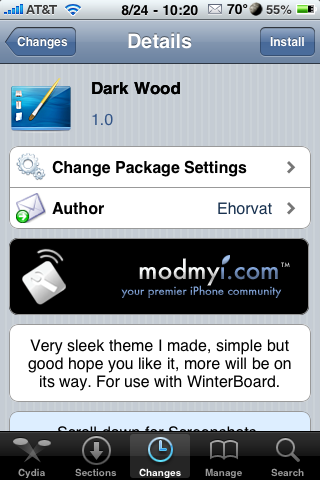 You can get Dark Wood via the modmyi source. 2. Make sure you have the modmmyi source installed in Cydia. 3. 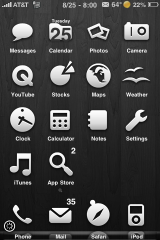 Search for Dark Wood in Cydia, run the install.